Till Friday (April 27), you can get 16% off all Providence Press books at Lulu. Just use the code EARTH at the checkout. 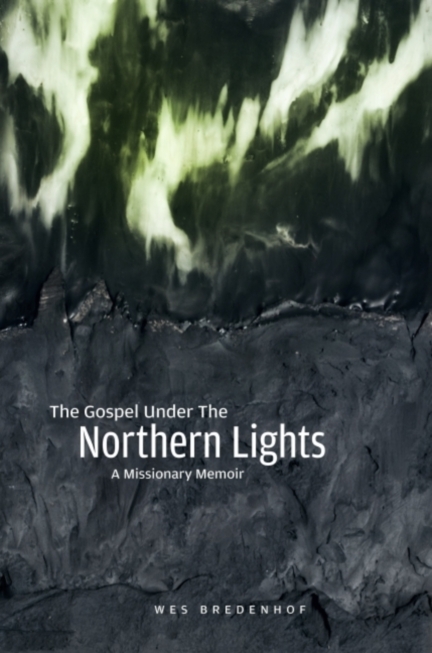 This offer includes The Gospel Under the Northern Lights — which William Boekestein recently reviewed over here. My friend William Boekestein (URC pastor in Carbondale, PA) produced this video with the help of his kids. Thanks! UPDATE: He’s also written a review that you can read here. Ted Lowley was a resident of the Lake Babine Nation reserve in Burns Lake and had recently passed away. His funeral and the associated potlatch were held on December 9, 2000. Willie was ready when I stopped by at his place at 8:00 in the morning and, together with Fred William, we set off for Burns Lake, via Smithers. Along the way, we chatted and I discovered from Fred that the current population of Fort Babine was about ninety people living in twenty-six houses. I also learned that there was a lot of animosity between the people of Fort Babine and those of Burns Lake. There was a strong feeling of alienation and that had to do with the history and the amalgamation process back in 1957. Finally, at around 4:00 we went back to the hall and more people were beginning to arrive. There was lots of standing and sitting around and socializing. The feast itself didn’t get started until around 7:00. It began with prayer and then food was served. We had bannock, soup, and platefuls of all kinds of other good stuff. While we ate, people were busy making contributions to pay for the cost of the funeral. There is some reciprocity involved with this aspect of the potlatch – in other words, a person would make a contribution knowing that eventually it would somehow get paid back. But there were also many instances where people would make contributions with “no-return,” meaning that they didn’t want to get paid back. That was motivated more by generosity than by reciprocity. The giving of gifts would go on for several hours, but we had to leave early because I wanted to be home by midnight. The next day was Sunday and we would be up early to make the trip back into Smithers to attend church. So that was the second time that I attended a potlatch. It helped me to understand more about First Nations culture in this part of BC.